Born in India in a Rajasthani family in 1981, Smita Sonthalia experienced and loved the beauty of ancient roots and vibrant culture of the community around. Her love for art and colors came from observing and internalizing the various traditional art forms in the country as she traveled around, read & learnt about them. The free spirit of Nature is her constant source of inspiration and her friends and family are her strength and motivate her constantly to live her dream – a dream of creating art and spreading her wings on Canvas. Smita, completed her Diploma in Fine Art under the guidance of an Artist and went on to pursue her Masters in Fine Arts from Mysore along with her mainstream education in Computers and Fashion. After exploring various cultures across India and Singapore while moving cities with her family, Smita has made London her current home. “Buddha is my first love, he achieved freedom Inside Out”, says Smita. The blend of Indian Folk and Contemporary Style is the base of her expressions on Canvas. 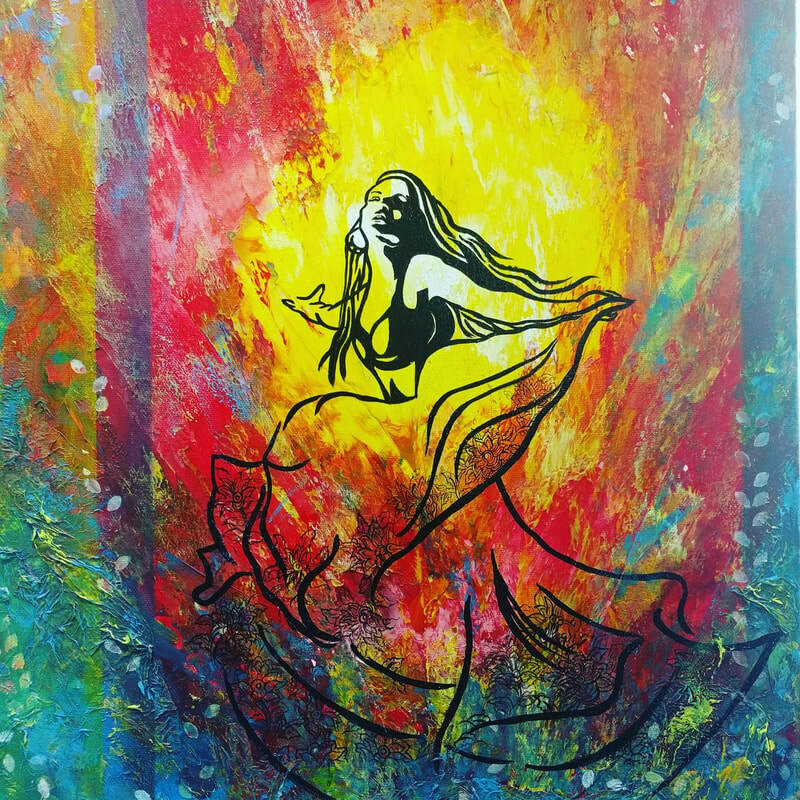 “Acrylic adds playfulness to my creations” says Smita. She experiments with textures, layers, inks, lines, patterns etc in her works to create something different. After successful exhibitions in India, Singapore and now in London, Smita is looking forward to winning the hearts of Art Lovers in the United Kingdom.